Start your health & fitness journey now! Would you like to take advantage of this month's Special Membership Offer if you join right now? Take the first step to the new you! Register Now to get started with your very own Personal Trainer or challenge! Become accountable & SMASH your goals! Help us stay in touch with you by keeping your membership details, status and contact information up-to-date for your specific home club. Membership conditions and club policies are also available under ‘Membership Admin’. Click this link to go to your club’s Membership Admin page. Fitness assessments are available for all members. It is the first step for anyone who has not been to a Fitness Club before or if you have had a break and need to be re-evaluated by a trainer. We can help you set realistic goals, and ultimately, achieve them. Assessments ensure that you are achieving your goals in the most effective and appropriate ways specific for YOU. Book Now! Enjoy ONE membership and the ability to train at MANY locations. This is perfect if you live and work in different suburbs or if your are just after a bit of variety every so often. *Please be aware that some conditions may apply. 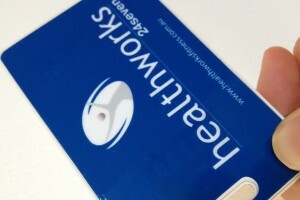 Healthworks offers the most flexible gym memberships in the health and fitness industry. Our belief is that our members come first, after all without you we do not have anything! 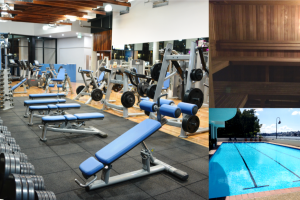 All of our clubs are family owned and operated, offering group exercise classes, cardio studios, lifting platforms, free and pin-loaded weights facilities, as well as, functional training areas. In addition, many of our clubs are multi-facility centres offering tennis, squash, swimming pool, crèche and/or sauna. Currently, there are 13 Healthworks Fitness Centres located across Brisbane, the greater Brisbane area and the Sunshine Coast. Our locations include: Aspley, Cleveland, Deagon, Gasworks (Newstead), Hendra, Ipswich, Mooloolaba, Redcliffe (Peninsula), Sunnybank, Teneriffe – On the River, Victoria Point and West End.